Sfxarchive is selling a 4- by 5-inch negative ostensibly from the Black Dahlia case. I don’t recognize any of these individuals, nor have I ever seen the image. 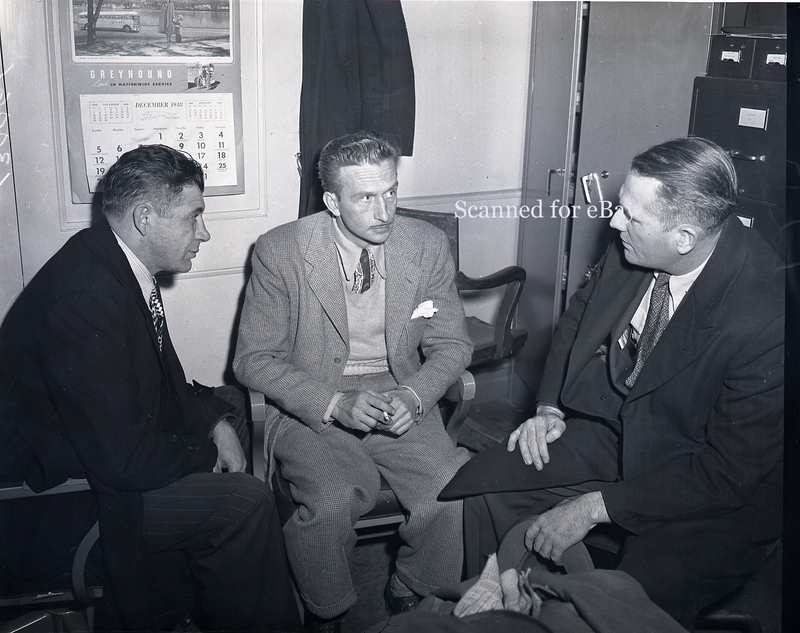 It doesn’t show any of the main suspects, nor does it show the main detectives, Harry Hansen and Finis Brown. I would say its importance is limited. Note that the seller’s date (January 1949) is contradicted by the calendar in the picture, which says December 1948. The bottom line: I would not spend any serious money on this image. Yeah, he says it's unrelated. I did the same thing.